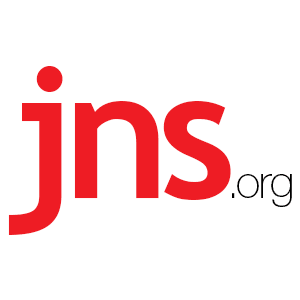 Satellite Images Show 'Unusual Activity' At Iranian Nuclear Facility - Breaking Israel News | Latest News. Biblical Perspective. 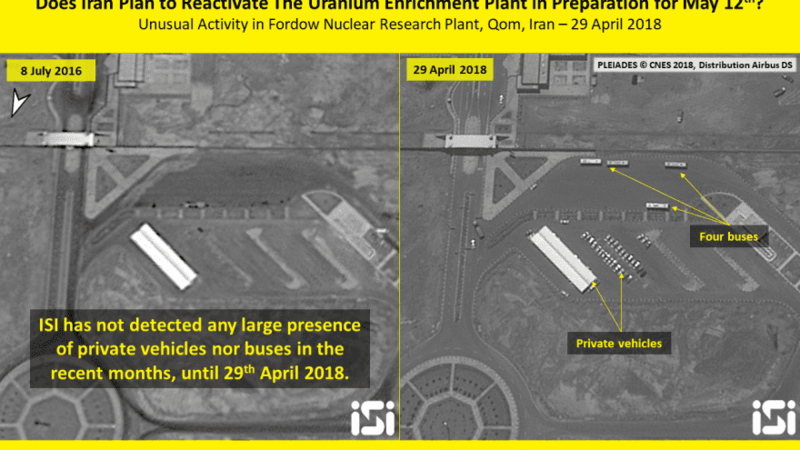 Satellite images released on Thursday show “unusual activity” around Iran’s Fordo nuclear enrichment facility in Qom, southwest of Tehran. The facility, built under a mountain, was supposed to be converted into a research center as part of the 2015 nuclear deal. The images, taken on April 29 by the Israeli firm ImageSat International, show a large number of vehicles at the entrance to the facility and other signs of increased activity there, as well as two buildings that did not exist in 2016, when the area was last photographed. It is believed that the buildings are new research-and-development facilities. The images do not in themselves indicate that Iran is in violation of its agreement with world powers, formally known as the Joint Comprehensive Plan of Action, or JCPOA. U.S. President Donald Trump said he would decide whether to renew waivers suspending some of the U.S. sanctions on Iran by May 12. One White House official said it was possible Trump will end up with a decision that “is not a full pullout,” though was unable to clarify that.